When will be Fishlock's Choice next episode air date? Is Fishlock's Choice renewed or cancelled? Where to countdown Fishlock's Choice air dates? Is Fishlock's Choice worth watching? 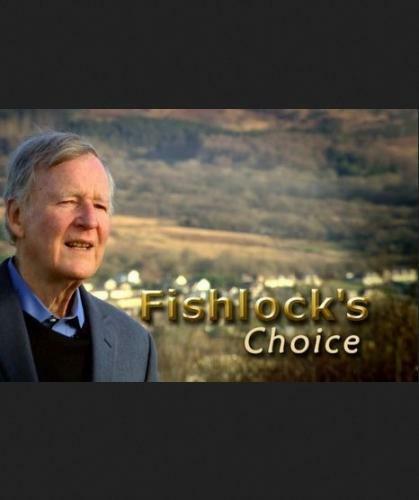 Broadcaster Trevor Fishlock meets people across Wales with stories to tell. Trevor Fishlock takes a green route through north Cardiff, discovering some of the more unusual creatures who have made their home in Roath Park lake. After hearing the stories of Cardiff's Old Jewish Cemetery, he heads to Cathays to find out about some of the more unusual burials in the large graveyard there. In one plot lies only a leg - the rest of the body is buried elsewhere. Trevor talks to John Farnhill about the Friends of Cathays Cemetery, a group of local historians who are dedicated to researching the stories behind the names on the gravestones. The cemetery is also the final resting place of a remarkable woman, Frances Batty Shand. The daughter of a slave, her dedication and compassion would see her change the lives of countless people across the city. War veteran Ron Jones found himself being used as forced labour by the Nazis during World War II. The factory in which he worked was part of a network of camps at Auschwitz and Ron became an eyewitness to the Holocaust.One Jewish prisoner named Josef gave Ron a homemade ring in gratitude to the Welshman for sharing food with him.Josef was murdered soon after by the Nazis. Ron tells Trevor Fishlock that he still wears the ring in remembrance of Josef. Also, in the programme, Trevor revisits one of his walks from nine years ago, when he explored the archaeology of Monmouth and followed the trail of the Trothy river. Trevor Fishlock hears amazing stories of tragedy and heroism at sea. Porthcawl local historian Gary Victor describes the storm which destroyed the ship Samtampa off Sker Point 70 years ago. Every member of the crew died, and so sadly did each man on board the Mumbles lifeboat which went to the rescue. The horrific death toll numbered 47 in all. Trevor also delves into the archive for a visit to Holy Island. He hears the story of Holyhead and meets diver Norman Warden Owen who had to cut off his own fingers when he became trapped under the sea. Broadcaster Trevor Fishlock meets people across Wales with stories to tell. Trevor investigates the story of the greatest mass escape by German prisoners on British soil and hears about the Welshman who almost killed Adolf Hitler. Fishlock's Choice next episode air date provides TVMaze for you. EpisoDate.com is your TV show guide to Countdown Fishlock's Choice Episode Air Dates and to stay in touch with Fishlock's Choice next episode Air Date and your others favorite TV Shows. Add the shows you like to a "Watchlist" and let the site take it from there.